“The Jihadi Media Uncovers the Falseness of the American Empire.” The article surveys the developments in jihadi media, particularly online, and Western responses. 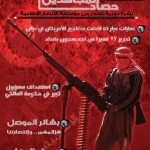 In addition to the article above on Palestinian youth, there is an article on fasting in Gaza. This, coupled with the pictures of slain Hamas leaders on the last page, indicate that the journal is being produced by someone in the Palestinian territories or Jordan. Perhaps a younger member of the Qassam Brigades. One final note: The article on the “Globalization of Jihad” is a reworked version of an article by the same title I summarized in May. The authors’ names are different, but it’s the same piece of work. 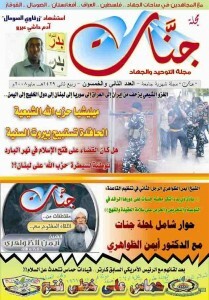 A new journal, Qadaya Jihadiyya (Jihadi Issues), has also be released. The production quality is better than most of the Jihadi journals and the articles look interesting. 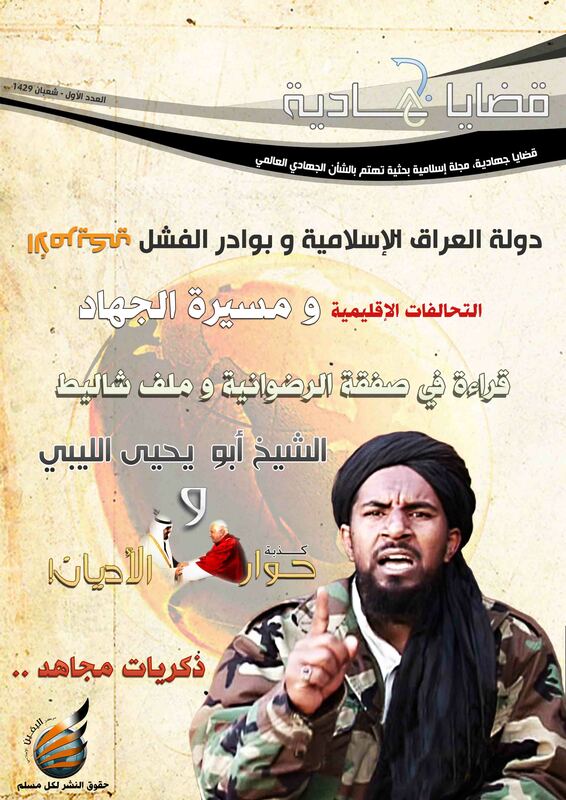 There is a “Strategic Issues” section, reminding me of Abu `Ubayd al-Qurashi’s column in the Ansar journal. It has two articles: “The Islamic State of Iraq and Early Signs of American Failure” and “Regional Alliances and the Path of Jihad.” Another section, “Thoughts of a Mujahid,” has the memoir of someone who attended the al-Faruq training camp. * Note: Hisad (“harvest”) seems to make more sense than Hassad (“harvester”) for the title, but that’s how the .pdf file is vocalized, so I’m going with it. The May issue of the Jannat (“Paradise”) Journal has been released. 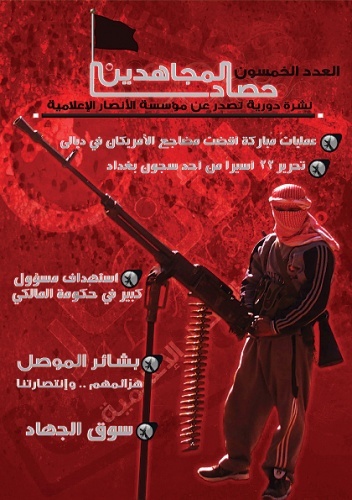 The monthly journal is a collection of short news stories on the global jihad and excerpts from online Jihadi discussion forums. 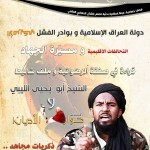 If you haven’t been following the latest goings on in the jihadosphere, this is a good place to look to get caught up. Although Jannat covers most of the open conflict zones in each issue, it focuses heavily on the Palestinian territories, which means that’s where its producers likely live (Gaza would be a good bet). Since it is critical of Hamas and hateful toward Hezbollah, it’s also safe to assume that its producers are Jihadi-Salafis of some sort. Jihadis are trying to gain greater visibility in Gaza, but it has been tough given Hamas’s monopoly on Sunni Islamist violence there. 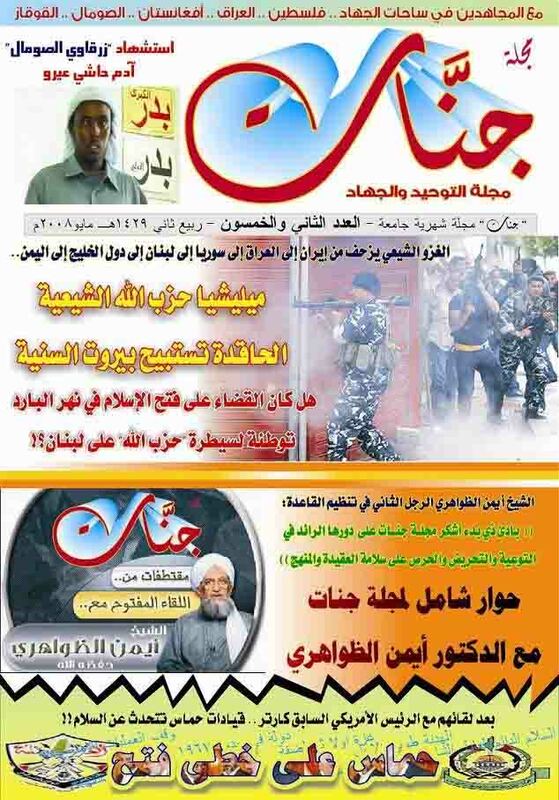 The headline story in this issue is the Shia march from Iran to Iraq to Syria to Lebanon to the Gulf and finally to Yemen (which seems pretty circuitous). The headline screams that Hezbollah is appropriating Sunni Beirut and that the extermination of Fatah al-Islam (a Lebanese Jihadi group which rebelled against the government last summer) has paved the way for Hezbollah’s control of Lebanon.